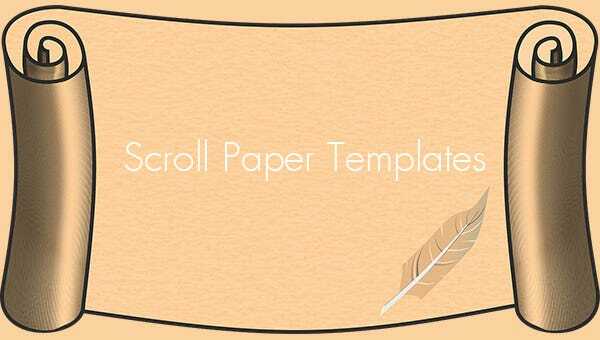 13+ Scroll Paper Templates & PSD Designs! When you ‘Live life king size’ you also write and invite in the royal way. 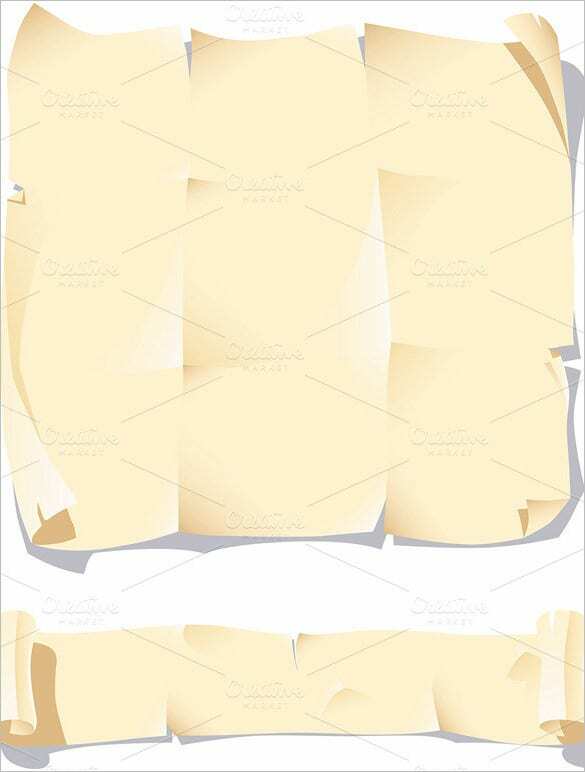 Presenting here the Scroll Paper Templates to embellish the grandeur of any occasion. Just like the ancient Egyptians and medieval rulers use these Scroll Paper Templates to leave your mark with each message they carry. 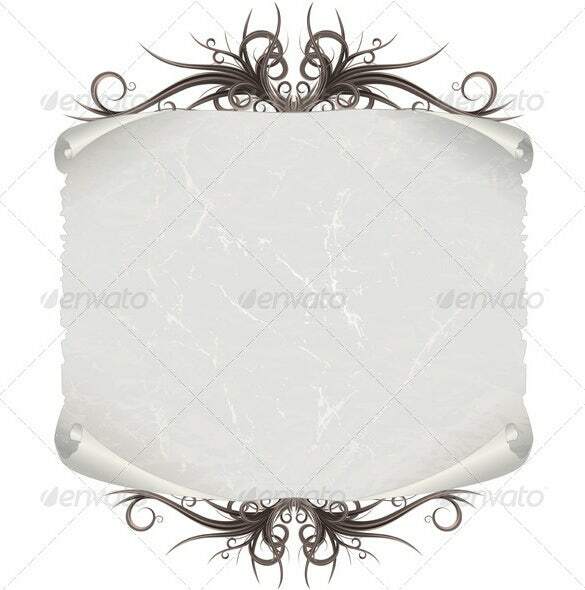 Use them for wedding invitation to have an imperial and majestic aura, in your formal greetings to give a feel of the ancient times or simply as templates for certificates. 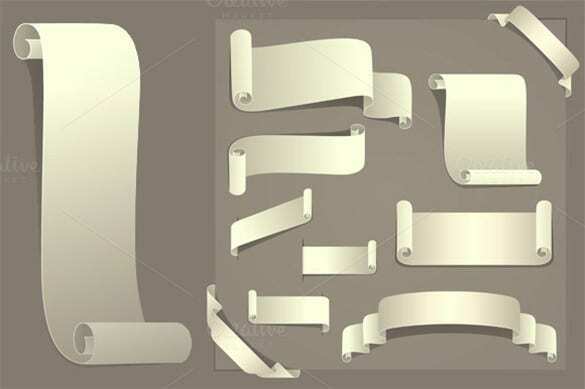 We have a wide range of Scroll paper Templates to recreate the magic and majesty as per your need. You can also see Paper Flower Templates. 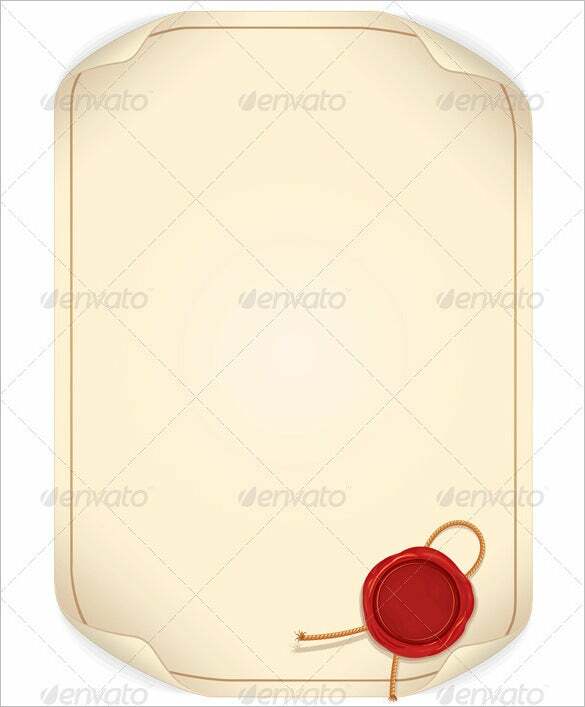 The beige background of this particular scroll template makes it look just like the ancient parchment paper. The golden border adorning it infuses modernity and the red wax seal is like a stamp of union of modernity with antiquity. 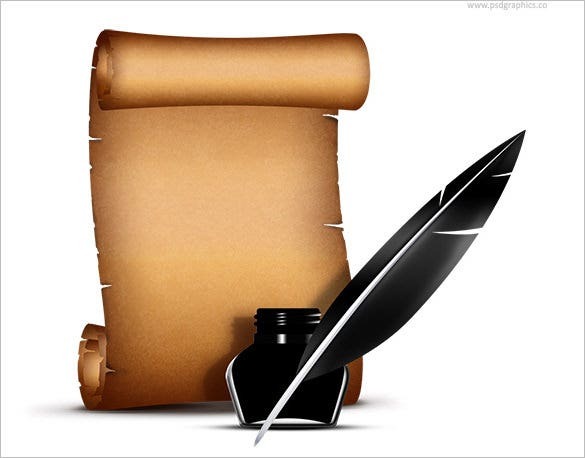 It is a wonderful template for declaration of formal events. allfreeprintable.com This Particular Template is in Pdf Format and has ripped irregular sides and rolled top and bottom. Only the message in the middle portion will be visible giving it an archaic feel. It can be customized according to the precise text which needs to be displayed. 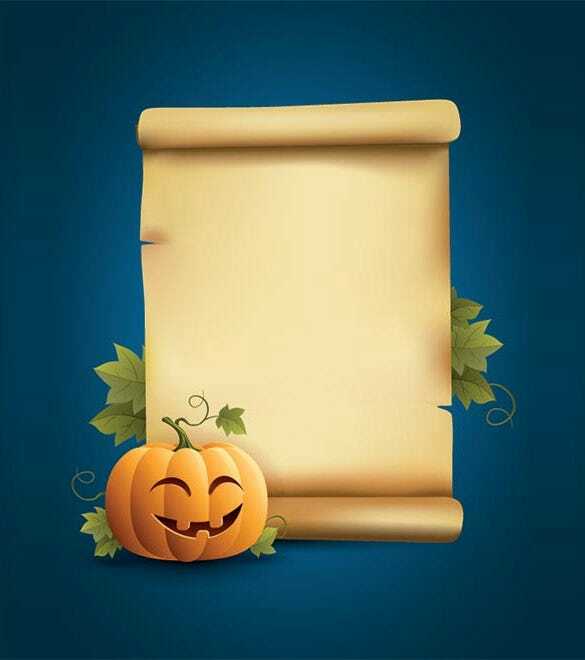 This specific template of scroll paper allows for greater flexibility in style and designs. 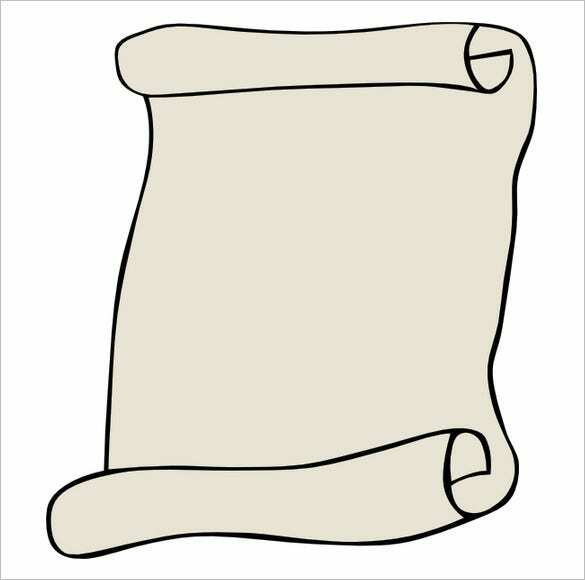 It consists of ten scroll papers which are unique in their design and use. Some can be used to decorate the borders. The template uses EPS type of vector file which makes it excellent for resizing as and when necessary and as frequently as necessary. 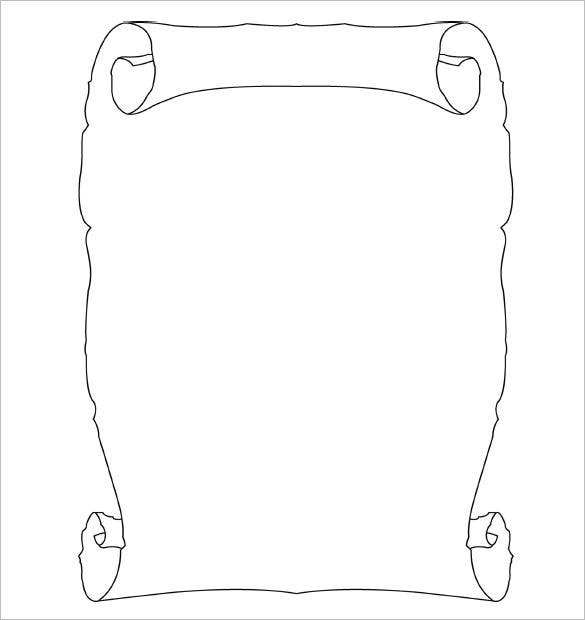 allfreeprintable.com If you want your message to have the feel of the ancient times, this scroll template might just do the trick for you. It looks vintage with its rolled top and bottom edges and torn uneven sides. It is in PDF format and can be adapted to the required details. This paper scroll clip art would be excellent for your spooky Halloween invite with its faded discolored aura and torn sides. The pumpkin having a naughty laugh below adds on further feel. This is the classic vintage template with the top and bottom sides rolled in alternate sides adding to the beauty of the scroll. The stamp on the bottom right corner instills the feeling of royalty as it conjures images of rulers putting their royal insignia on wax seal to impart authenticity to the message on the scroll. This Template will add to the magnificence of any special occasion and announcements. 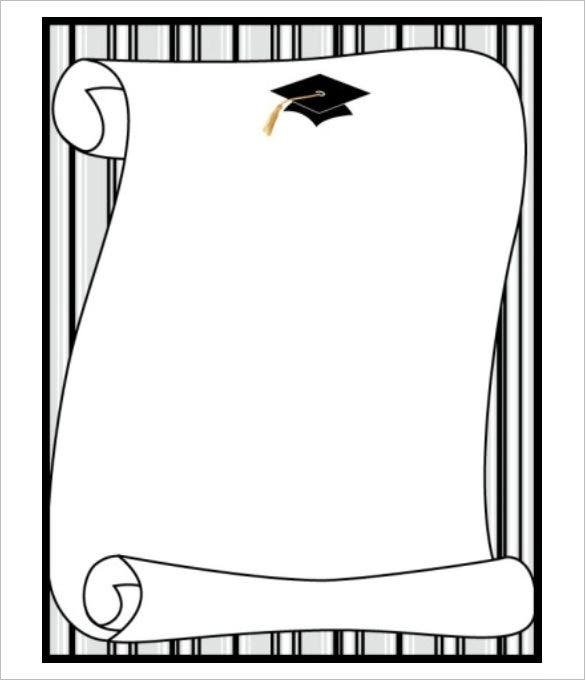 With the symbolic Oxford cap adorning the top of the template this particular scroll is perfect for invitations for convocation ceremonies. They give an erudite essence to the entire message. This template has very fine yet distinct veins in the entire body of the scroll which makes it look like a thing from the past. Irregular torn sides and crushed appearance completes its look. It looks just like the scrolls that sages used to write the ancient scriptures. The template gives quite scholarly feeling with the ink pot and the quill positioned at the rightmost corner at the bottom of the scroll. 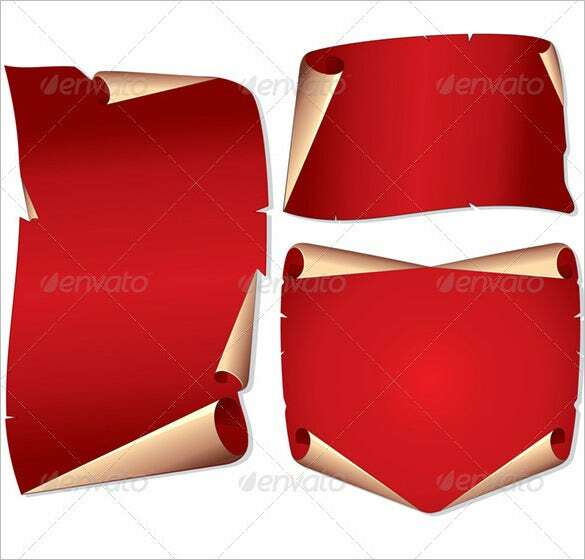 It is a Photoshop Design file which gives the user the freedom to work on various layers of the template. This Particular template uses vector graphics which can be easily resized and customized to display the graphics or any particular background of choice in the scroll. It can be used in special occasions. 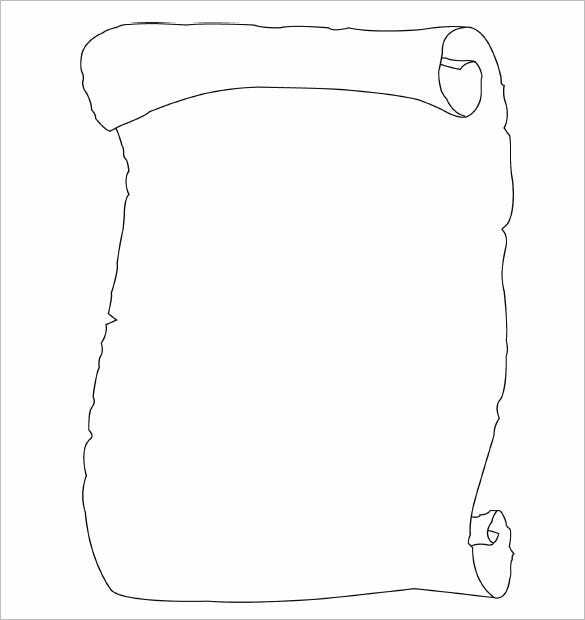 This template brings to life one of the most classic layout of scrolls. It’s rolled to the inside from both top and bottom with thick black border adorning the regular sides. It duly gives the prehistoric feel and can be customized according to the need. In this modern age, antique styles are still the best way to deliver greetings, messages and announcements in the most royal way. 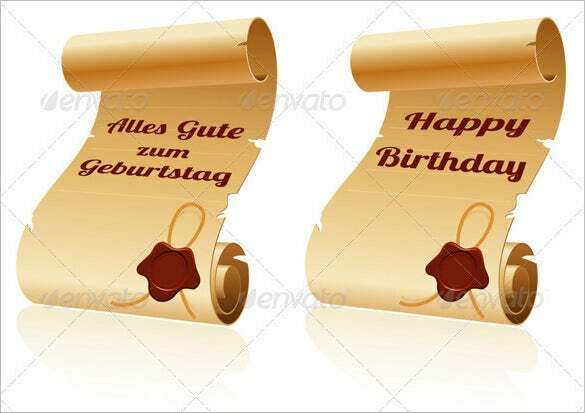 Use any scroll Template according to your occasion and need to add more splendor and glamour to it. The templates can be easily customized to meet your requirements and can be easily printed out. All our documents are compatible to various software versions. We are open to suggestions from users and can make changes to the templates as per their need.